Do you feel inadequate as a Christian? Do you want a closer relationship with God but feel stuck—like you're spinning your wheels? Do you want your relationship with God to translate into a better relationship with family and friends? I think we all want that but sometimes just don't have the right tools to make it work. We need some direction. 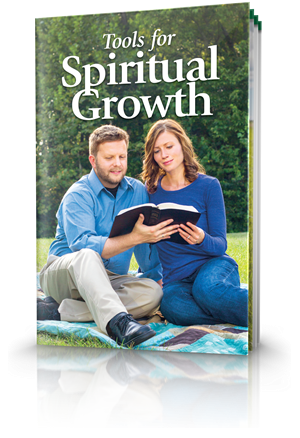 The new Bible study aid booklet, Tools for Spiritual Growth, will provide just that. It lays out spiritual tools in a progression of actions that will help you grow in the grace and knowledge of God the Father and Jesus Christ (2 Peter 3:18). It starts with the essentials of communicating with God through prayer and Bible study. Sometimes we don't know how to "pray as we ought" (Romans 8:26) and need support. The booklet goes on to describe the need for meditation and the catalyst of fasting. This then leads to change, connectivity with the Church and growth from immaturity to immortality. You can start implementing these tools right away, and by doing so you will see results. 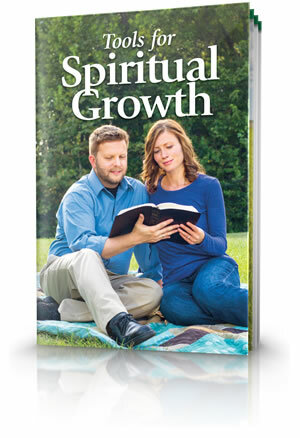 You can read Tools for Spiritual Growth online or request a copy to be sent to you. In Jesus' Sermon on the Mount, right after instructing people not to use vain repetition in prayer (Matthew 6:7), He gave a model prayer now referred to as the Lord's Prayer—or "Our Father" for its first words (Matthew 6:9-13). The Bible reveals and discusses important tools we can use to grow spiritually and build our relationship with God the Father and Jesus Christ. We first examine the crucial tool of prayer—a key to communication with our Creator. It is only logical that God expects us to fulfil certain conditions if we want His help. God has given us His revelation of what we need to know but could not learn on our own. He has given us a handbook for life—the Bible. How can we best use this wonderful tool for spiritual growth He has provided for us? The Bible is unified by profound themes running through it. Although it contains a number of major themes, here are three of the most important. God doesn't want blind faith. He wants you to have faith based on solid evidence. "Test [prove] all things; hold fast what is good," He tells us (1 Thessalonians 5:21). 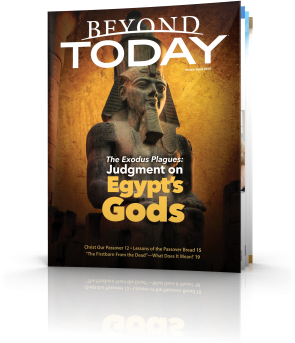 You can prove the divine origin, authenticity and accuracy of the Bible. Author Bruce Barton called the Bible The Book Nobody Knows. That is practically true, but you can know it. We can greatly improve the quality of our prayers and Bible study when we think carefully—or meditate—about what God says to us through His Word and what we say to Him in prayer. How can we use the tool of meditation? What Should We Meditate About? What are some of the things we might meditate on to get our minds more attuned to God's way of thinking? Here's a short list to get you started. The Bible shows us that many notable figures spent time in fasting—going without food and drink. God even commands us to fast at least one day each year. What does fasting teach us, and how can we use this tool for growth? Our first step toward receiving forgiveness and being reconciled with God is repentance—turning from our selfish and sinful ways and turning to Him. And we must remain in a repentant attitude if we are to grow as God wants us to. What must take place for us to receive God's forgiveness and grace? It's essential to understand that God is pleased with repentance but not penance. Participation in the Church (assembly of believers) Jesus founded through supporting its mission and Christian fellowship—communicating and interacting with other members—is a priceless tool for personal and collective growth. Surprisingly, an individual cannot "join" the Church of God on his or her own. The New Testament Church belongs to our heavenly Father and to His Son, Jesus Christ. Together they inspired the New Testament writers to refer to the Church with a name most English translations render as the "Church of God," which means it is a spiritual organism that belongs to God. 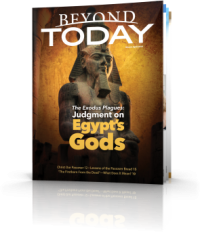 After examining key essential tools for spiritual transformation—prayer, Bible study, meditation, fasting, repentance and the Church, we now consider how we can use all these tools in attaining our ultimate destiny of eternal life. God expects us to be productive and get results.